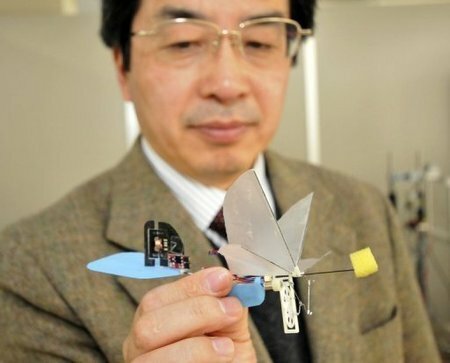 Japanese researchers have developed a robotic bird that can move freely in the air with rapid wing movement. This bird robot has a size similar to a real hummingbird bird, equipped with a micro motor and four flapping wings that can be 30 times per second, said Hiroshi Liu, researcher at the University of Chiba east of Tokyo. This unique robot has a weight of 2.6 gram, can fly eight times more stable than a helicopter with propeller. This bird robot controlled by infrared sensors and can move up, down, right or left. Hiroshi Liu plans to make it hover for silent at one point in the air, and equip it with a micro camera in March 2011.